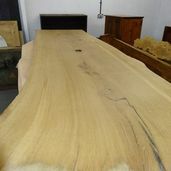 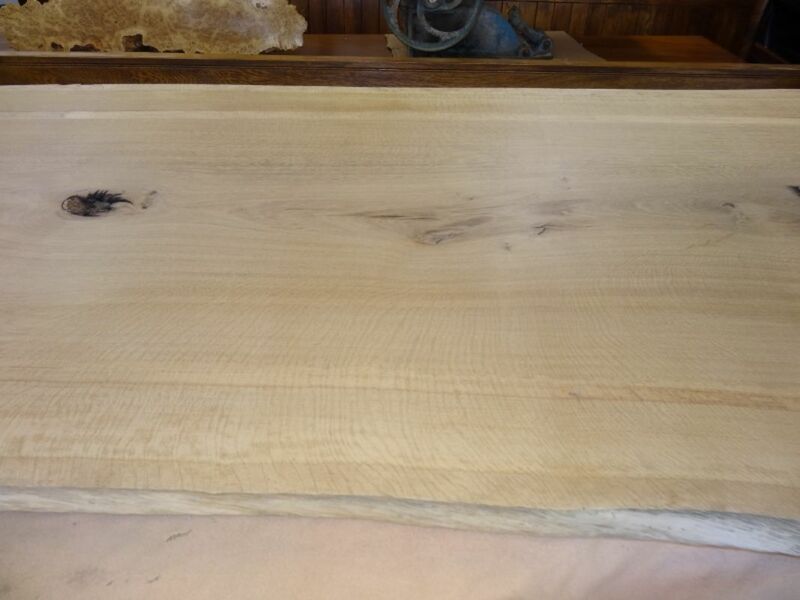 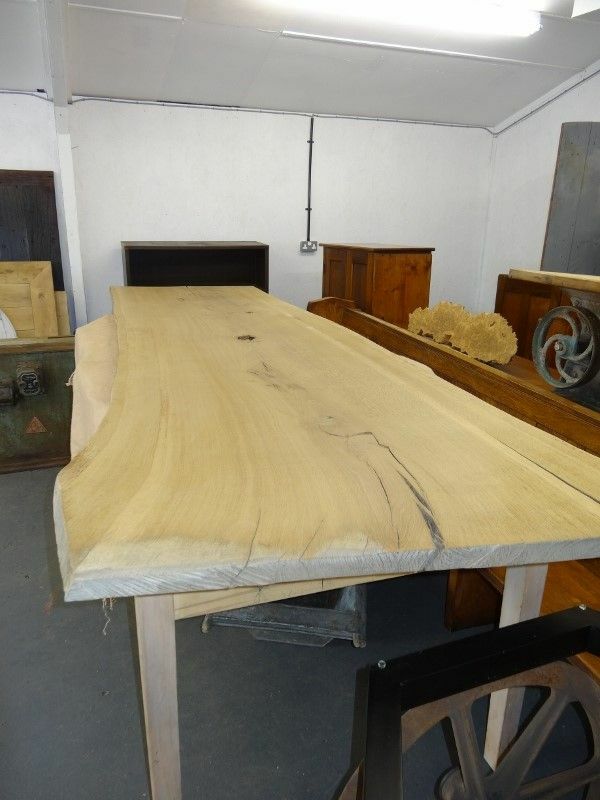 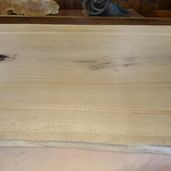 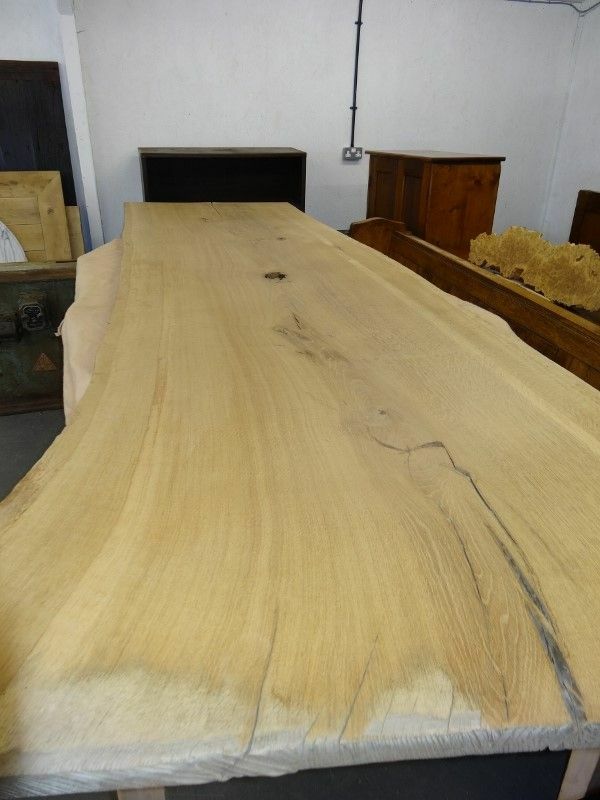 Large Oak Plank 12’3” (345cm) long at one edge tapering to 10’11” (333cm) long, 42” (102 cm) wide tapering to 37 ½ “(95cm) wide, 1 ½” (4cm) thick. 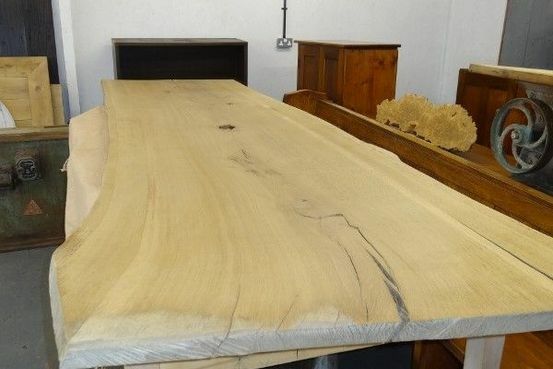 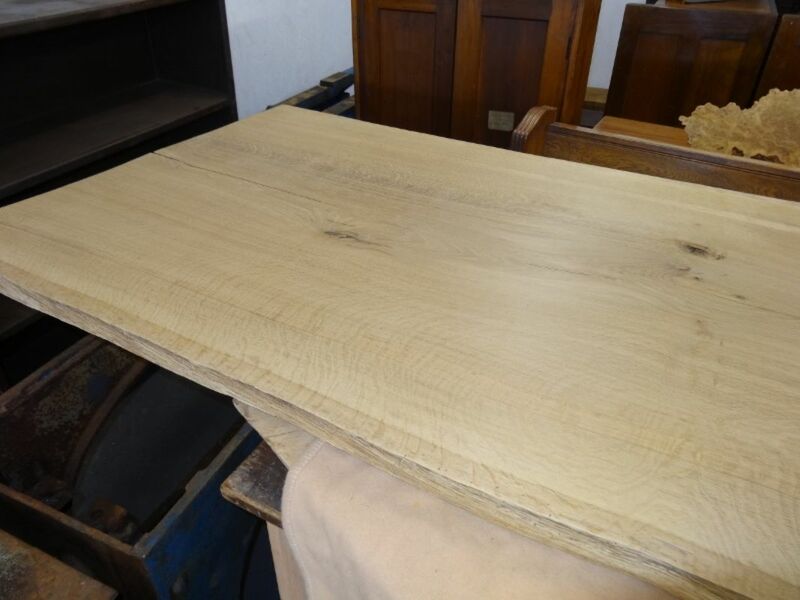 1 large board of English Oak felled in the 1970’s and allowed to season since. 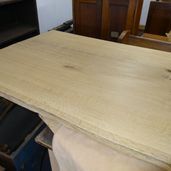 Would make a wonderful table top on a base of your choice.